The Central Bank of Malaysia has introduced various reforms in recent years to strengthen corporate governance in the Malaysian financial system. This has translated into immense improvements in the governance practices in the industry. The Bank is now focusing on softer aspects to raise the bar in governance practices. 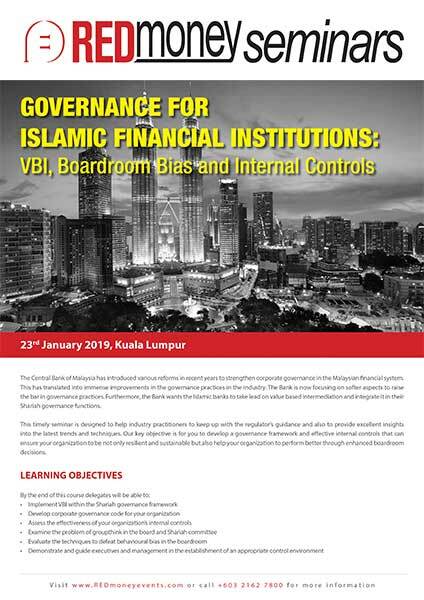 Furthermore, the Bank wants the Islamic banks to take lead on value based intermediation and integrate it in their Shariah governance functions. This timely seminar is designed to help industry practitioners to keep up with the regulator’s guidance and also to provide excellent insights into the latest trends and techniques. Our key objective is for you to develop a governance framework and effective internal controls that can ensure your organization to be not only resilient and sustainable but also help your organization to perform better through enhanced boardroom decisions. Adil has 30 years of international banking experience and began his career in the 1980s at ANZ Grindlays Bank Pakistan. He was the Director and Head of Global Islamic Finance of ANZ Investment Bank in London from 1993 to 1997 and thereafter Executive, Group Strategy of ANZ Banking Group Ltd in Melbourne from 1997 to 2000. He assumed the position as the Chief Executive Officer of ANZ Banking Group Ltd Vietnam from 2000 to 2005. In 2006 he left the ANZ Banking Group to become CEO of Kuwait International Bank, from where he retired in 2009. He was appointed in the Board of HSBC Amanah in 2014 and he is the Chairman of Nominations and Remuneration Committee, a member of the Audit Committee, Risk Committee and Connected Party Transactions Committee of the Bank. He holds a Masters in Business Administration (Finance & Accounting) and BA in Economics from Cornell University, Ithaca, New York. Since retiring to Malaysia, he has advised international clients on strategic and financial matters for projects in Vietnam, Malaysia and Pakistan, and has provided Islamic and conventional banking training programs for banks and other financial institutions in Asia-Pacific and the Middle East. Ashraf Gomma Ali joined CIMB in April 2017 as Director and Head, Shariah & Governance Department. Previously, he was attached to the Shariah Advisory and Governance Department of National Commercial Bank (NCB) Jeddah, Saudi Arabia for more than six years. There, he was the Shariah Assurance Manager. He was actively involved in Shariah advisory activities of the Bank with specialty in treasury, corporate, retail and capital markets as Shariah subject matter expert. He was also involved transaction structuring and documentation of 20 billion SAR of corporate deals and also Shariah Lead on development of a full suite (over 30) of Islamic alternative treasury products for hedging and structures investments covering alternatives to all conventional products He now leads the overall functions of Shariah & Governance Department which is responsible to provide the Shariah advisory for all types of Islamic products both to the CIMB Group and external parties in asset & fund management, investment & corporate banking, retail & commercial banking, treasury & structured products, takaful, private equity and etc. He is currently a Shariah Supervisory Board Member of University Bank, Ann Arbor, MI which had completed a full analysis of the Murabahah Home finance product and issued a certificate of compliance. He is also a Certified Shariah Auditor and Advisor AAOIFI and ACI Treasury Dealer Certificate ACI-The Financial Markets Association. He holds a Bachelor of Finance (Hons) from the University of Maryland, College Park, MD, USA and a Bachelor of Shariah (Hons) from the University of Umm Al Qura, Mecca, Saudi Arabia as well as Master in Islamic Finance Practice from International Centre for Education in Islamic Finance (INCEIF), Kuala Lumpur, Malaysia. Jal heads the Islamic finance practice in Shook Lin & Bok, one of the oldest and largest law firms in Malaysia. He was instrumental in setting up the Islamic finance practice and continues to chart the course of this practice area. Leveraging on 24 years of experience as a banking and finance lawyer, Jal guides and leads his team of 20 lawyers advising on Islamic finance deals. His portfolio of work includes advising on a wide range of sukuk issuances for financing power plants in Malaysia and China, vessel construction, project fnancing for the automotive industry, the textile and garment industry, the downstream and upstream palm oil industry, advising on Islamic structured products and Islamic syndicated financing. He holds positions in INCEIF University (an institution established under the auspices of the Malaysian Central Bank). He has also been commissioned by the Malaysian Securities Commission and the Rating Agency of Malaysia in relation to product development and regulatory requirements. 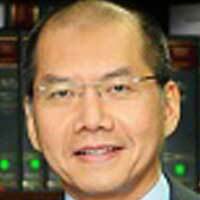 He is involved in law reform with his involvement in the Malaysian Central Bank committee for Islamic Finance Law Reform. Jal also sits on the technical committees of the Malaysia Accounting Standards Board (“MASB”) and the Malaysia Institute of Accountants (“MIA”). 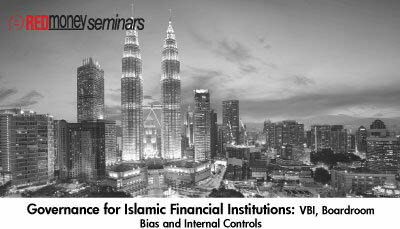 Additionally, he is also a moderator with the Finance Accreditation Agency (“FAA”) and an arbitrator for Islamic Finance with the Kuala Lumpur Regional Centre for Arbitration (“KLRCA”). 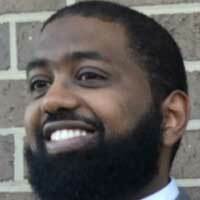 Jal is also a chapter reviewer and contributor for the International Shariah Research Academy (“ISRA”). After graduating from Queen Mary & Westfield College of the University of London and after completing the Malaysian Bar examinations, he commenced his pupilage in Shook Lin & Bok and continued his employment with the Firm, culminating in his admission as a partner in 2001. 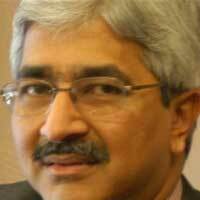 He continued his progression within the Firm with his elevation as a senior partner of the Firm in 2004. Ahmad has vast experience in the field of Islamic finance, focusing on Shariah governance, internal control and (internal) audit. His professional experience has been in the areas of internal audit, Shariah compliance & review as well as Shariah audit. He was appointed in 2012 as one of the Specialist for the Development of Accounting Course for National Occupational Skill Standard (NOSS), Ministry of Human Resources. Additionally, he is a consultant on Regulatory Framework for Islamic Finance for the Republic of Maldives. In 2018, he has been appointed as the Industry Expert Moderator and the Head of Module Reviewer for Shariah audit certification programme. He has lectured and trained extensively on several Shariah governance areas for Universiti Sains Islam Malaysia (USIM), Universiti Islam Antarabangsa Malaysia (UIAM), Universiti Kuala Lumpur (UniKL), Politeknik Sultan Salahuddin Abdul Aziz Shah and Universiti Tun Abdul Razak (Unirazak). Internationally, he has also been invited to share his experience as Shariah auditor at Universiti Islam Sultan Sharif Ali (UNISSA), Brunei Darussalam. Recently, he has trained and provided his consultancy services on “Shariah Audit for Islamic Financial Institutions” for Autoriti Monetari Brunei Darussalam (AMBD).